For its 8th straight year, Drake’s annual OVO Fest is returning to his hometown of Toronto. 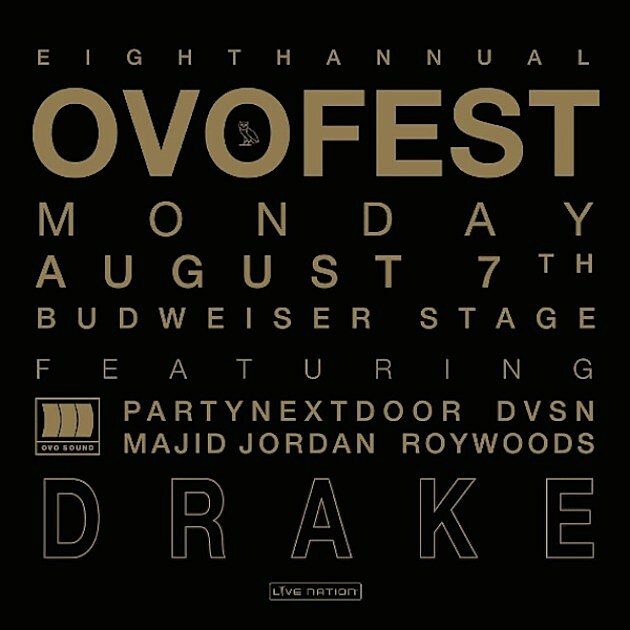 Taking place on August 7th at the Budweiser Stage, the OVO Fest will see some memorable performances from the label’s PartyNextDoor, DVSN, Majid Jordan, Roy Woods and of course Drizzy himself. And if history has taught us anything about the OVO Fest, you can expect some amazing surprises and a great night of music. Tickets for the festival go on sale, at LiveNation.com, today! Peep the lineup poster for the 8th annual OVO Fest below.